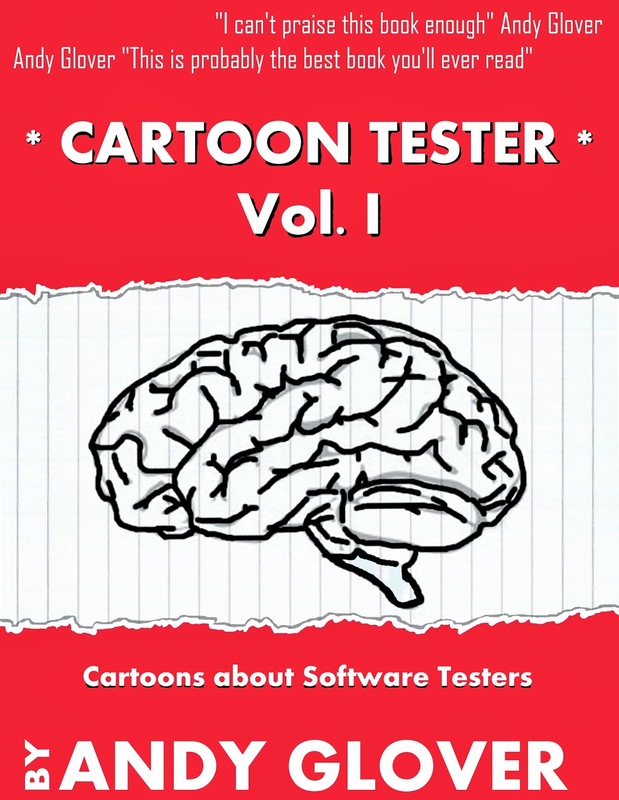 The Cartoon Tester Book is now available for purchase at LeanPub and Amazon! If I could recommend a supplier, I suggest you order it via LeanPub as they are more flexible with the price and the file format. The book contains nearly 200 cartoons about software development, testing, bugs and everything in between. A mnemonic is used to help people remember. Putting those two together, you get a visual mnemonic, even easier to remember! 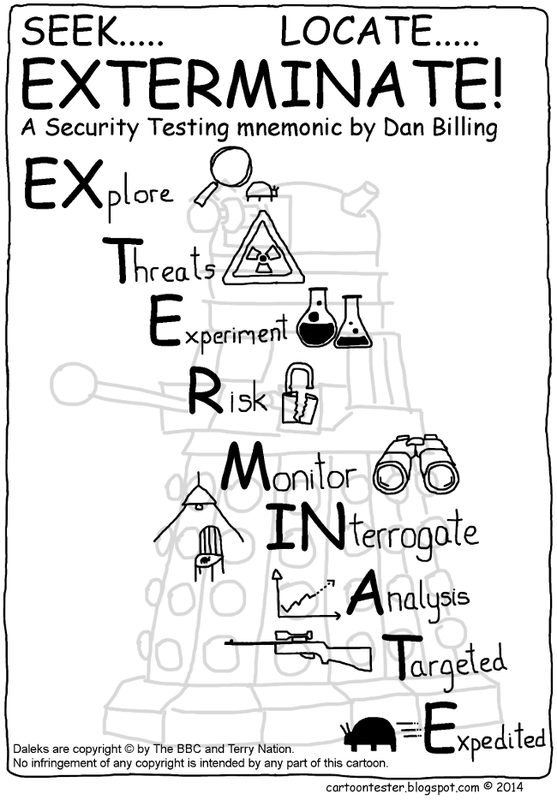 The mnemonic in today's cartoon was created by Dan Billing. 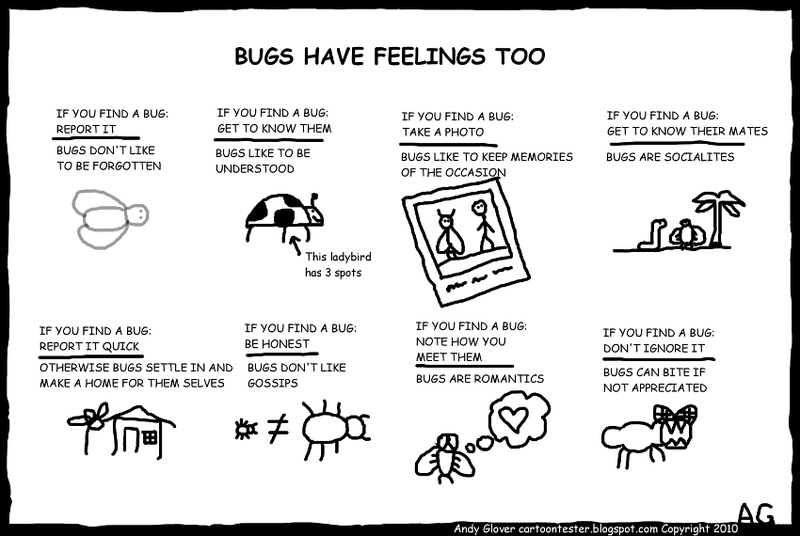 There are many software testing mnemonics. Lynn McKee has created a long list of them. 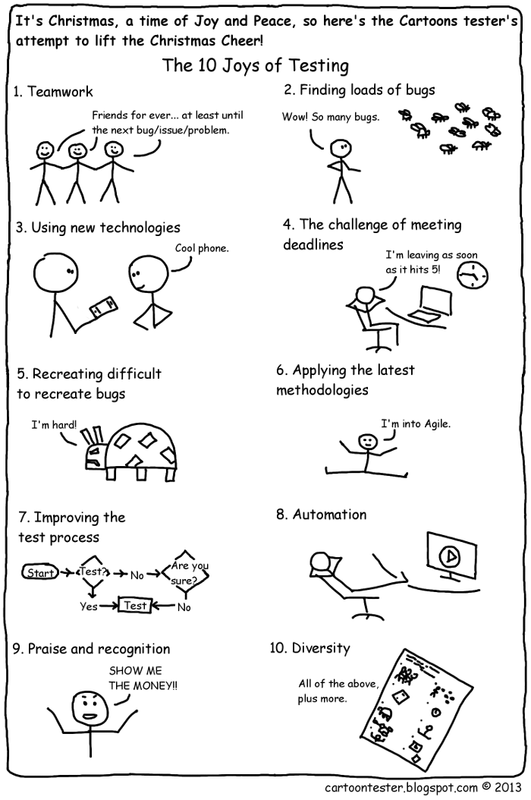 Why don't you create your own visual mnemonic? Would you like to learn about visual thinking and how using images can helps us during testing? 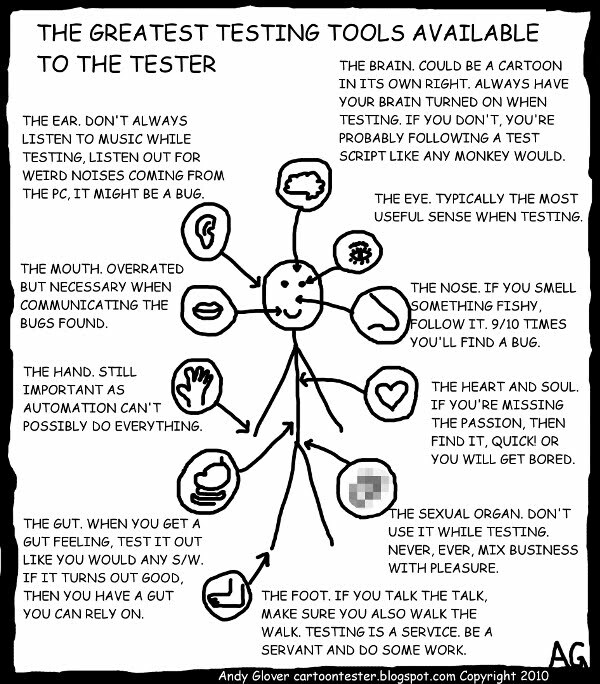 At the end of March I'm running a half day tutorial on Visual and Creative thinking at TestBash (U.K.). Hurry and book while tickets are available: Be-creative: a visual testing workshop. 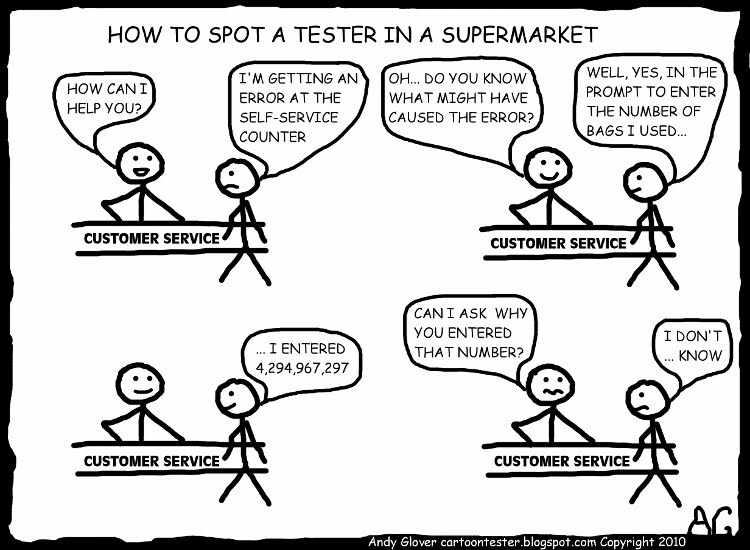 I'm also running a shorter version of this at RTC 2014 (Romania). 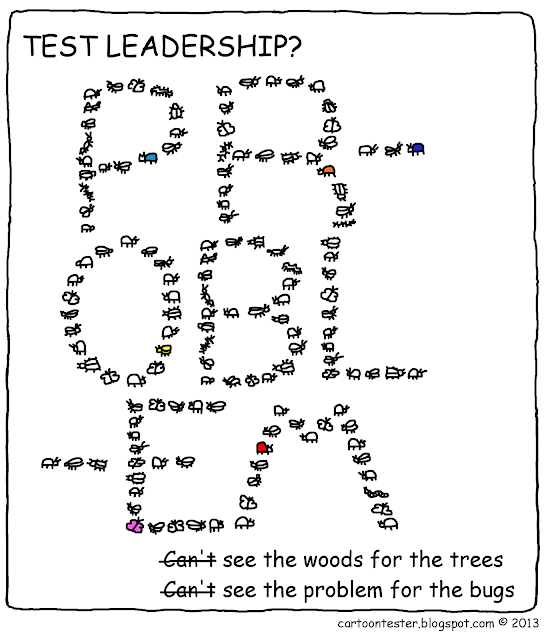 For the latest news on the book, check The Cartoon Tester Facebook page. 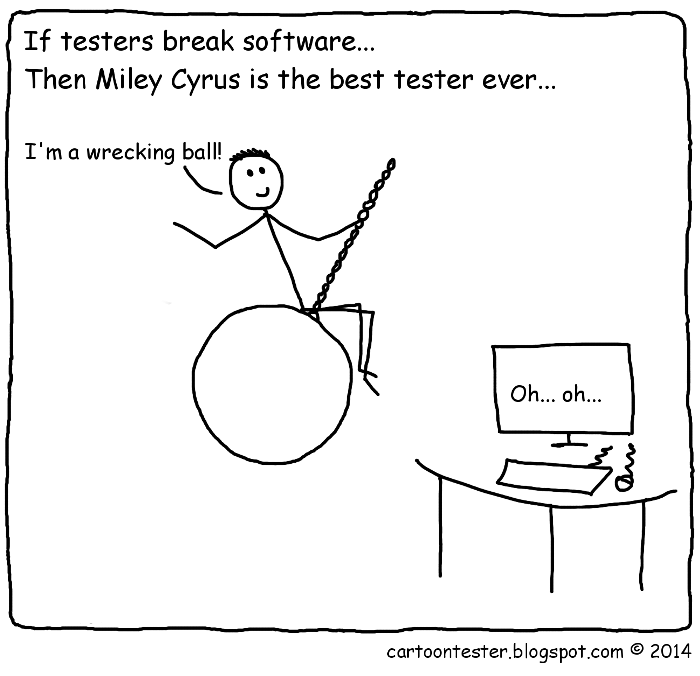 What's the best test tool ever?